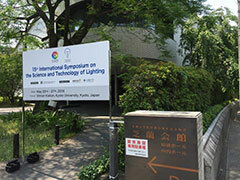 The 15th International Symposium on the Science and Technology of Lighting (LS15), the objective of which is providing an opportunity for Japanese researchers to show their achievements on the science and technologies of lighting to the world and also for researchers from all over the world to present, learn and discuss their studies each other directly, was held at Kyoto University from May 22nd to May 27th in 2016. 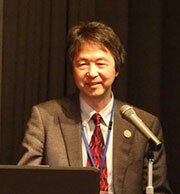 It is concluded that LS15 was very much successful owing to a lot of support. By country: Japan-137, China-21, France-9, Germany-6, the USA-6, Taiwan-5, Italy-5, Korea-4, Belgium-4, Hungary-3, Russia-3, etc. Number at previous LS14 was reportedly 211, yet it is uncertain to include accompany persons or not. By country: Japan-75, China-25, France-8, Italy-6, Germany-4, the USA-3, the UK-3, Russia-3, Malaysia-3, etc. On Sunday, 22nd, Dr. Sugawara, President and CEO of QD Laser, Inc. and Mr. Matsushita from Susumu Matsushita Architecture & Lighting Design Labo. 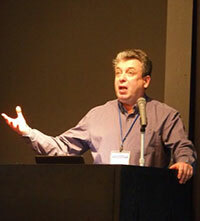 gave Keynote Lectures, and then followed by Welcome Reception. 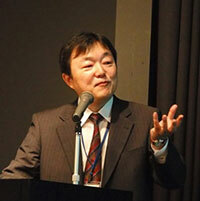 On Monday, 23rd, Prof. Matsuki, the Chair of IEIJ gave a congratulatory address in Opening Ceremony. 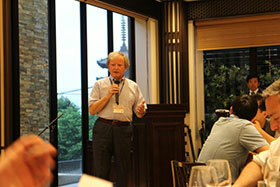 Then, the main conference sessions started and Get-together Party was held at night. 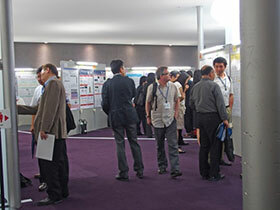 A session had basically 2 aural sessions and a poster session in between. 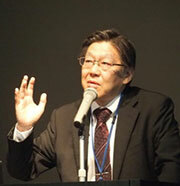 Aural sessions comprised Invited Lectures and Landmark Lectures. 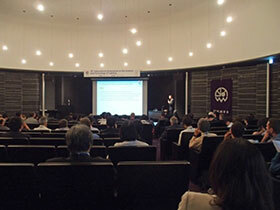 Each day started with a Plenary Invited Lecture listed below, and Parallel Sessions using Inamori Hall and Yamauchi Hall and Tutorial Sessions were scheduled. The afternoon of Wednesday, 25th was free, but some applicants visited Horik’s Washi (Japanese traditional paper) Showroom. Banquet was held at the restaurant, Kiyomizu Higashiyama at night. 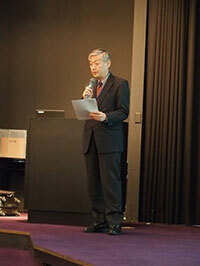 On Friday, 27th, Prof. Noda from Kyoto University and Prof. Amano from Nagoya University (awarded Nobel Prize 2014) gave Special Lectures as in the IEIJ 100th Anniversary Projects. 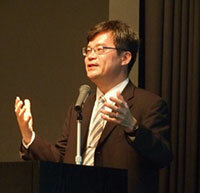 These lectures only were open to Kyoto University students for free. 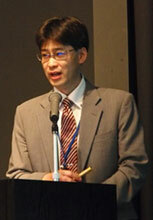 Finally, Closing Ceremony was held. 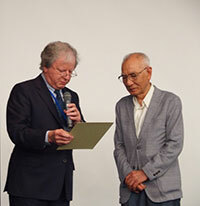 The remembrance was given to Dr. Kamiya, who was Vice Chair of LS7 held also in Kyoto in 1995, to thank his enormous contribution to LS series in long years. 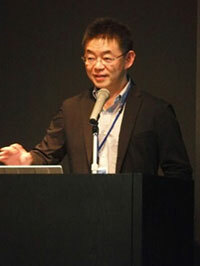 It was announced that the next LS16 would be held in the UK. 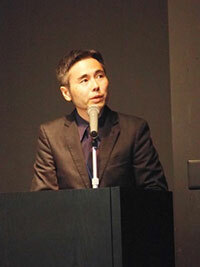 Platinum:	NEXCO Engineering Shikoku, Nichia Corp., SAES Getters S.p.A, Ushio Inc.
Gold:	Iida Lighting Co. Ltd., Ootsuka Electronics Co. Ltd., Soma Optics Ltd. Totally 99 people enjoyed the feast and program. By country: Japan-45, China-17, France-7, the USA-5, Germany-4, Belgium-4, Russia-3, Hungary-3, Taiwan-3, etc. 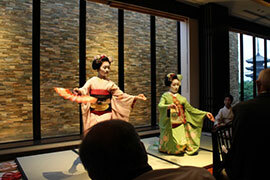 Maiko (Japanese traditional dance girl, see the picture) showcased their performances, which were supported by a subsidy from Kyoto Convention & Visitors Bureau. 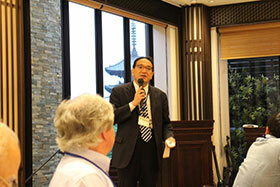 We acknowledge the support from IEIJ Headquarters and Kansai Branch for reception.